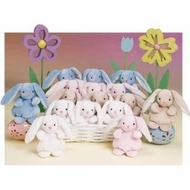 Melissa and Doug Baby Bunny Hops. We cannot offer color selection. Price is for one bunny.